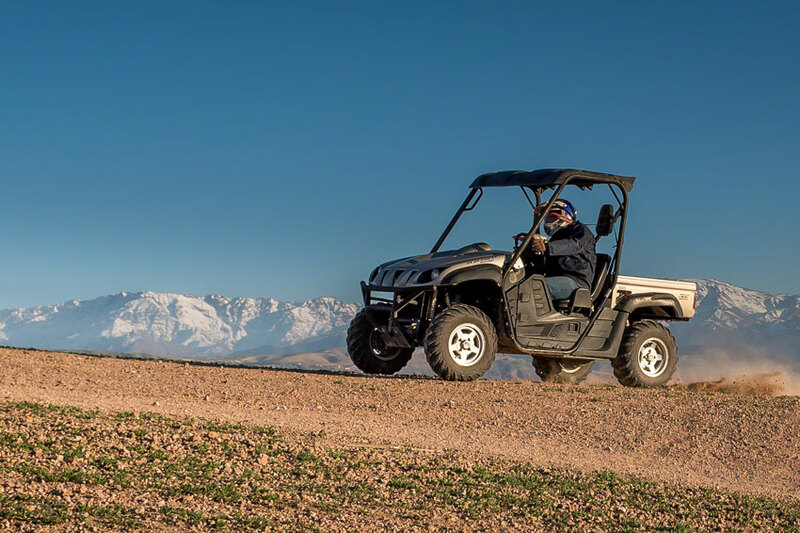 A full day of fun adventures ! 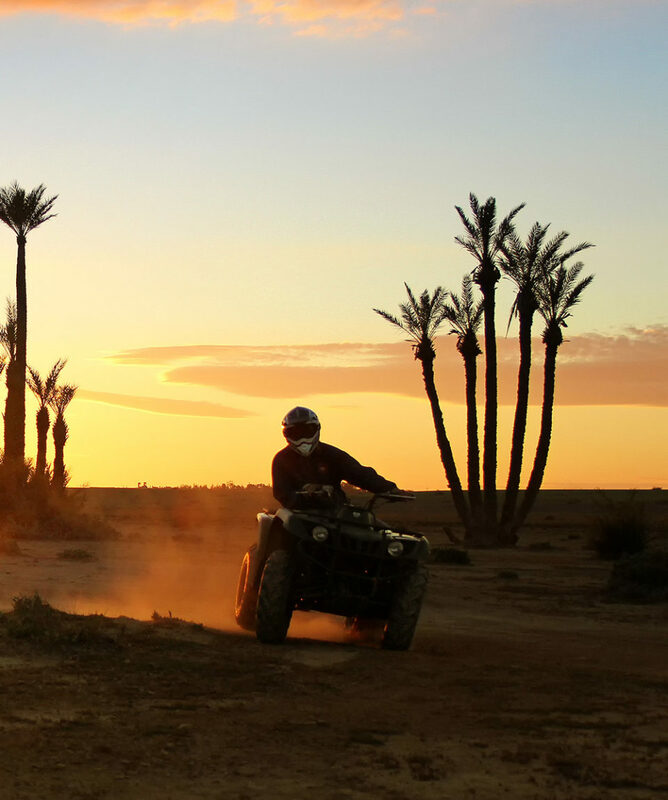 A camel ride and a quad ride: during your stay in Marrakech, enjoy these two activities in only one day! 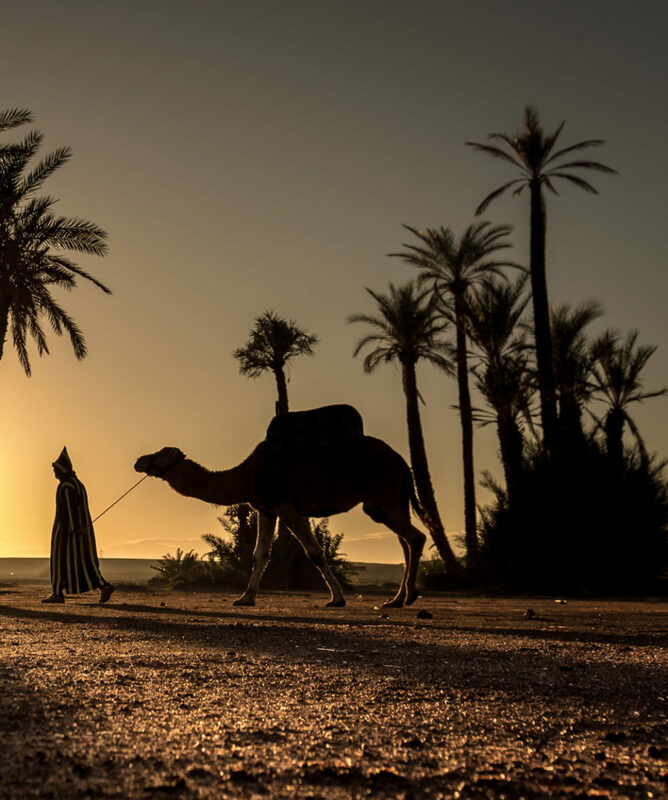 A relaxed atmosphere and an experience in the heart of Morocco. 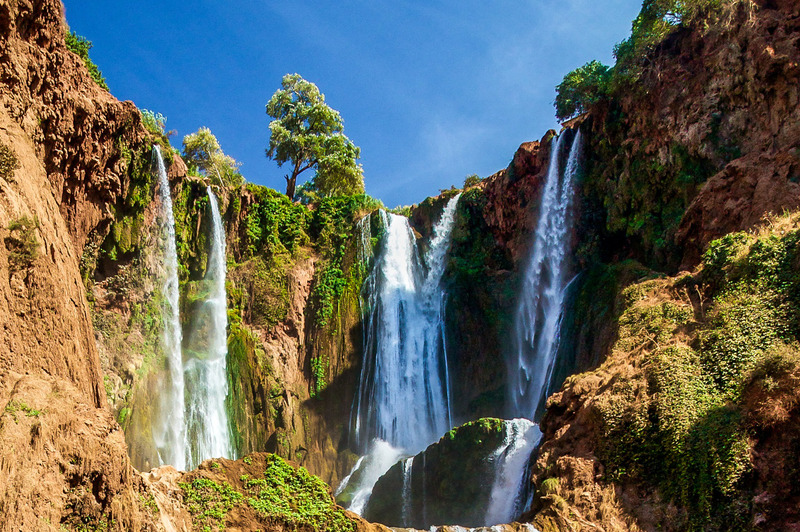 Marrakech is a big city, but just a few minutes from the center, it’s a whole different world that we propose you to discover. Being a real incursion into an authentic universe, this day is one of our bestsellers ! Two activities in one day. An authentic tajine lunch served in a garden. This day is perfect for many types of audiences but particularly suitable for a trip with friends. Experience these two activities in one day! 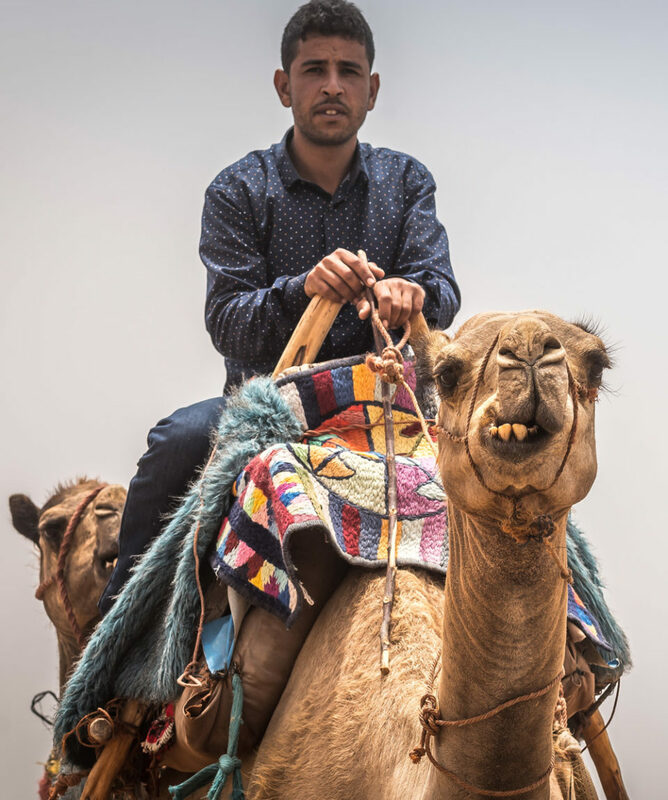 We will pick you up at your hotel and take you to the starting site to meet first of all our team who will explain the program of the day : after a camel ride you will be offered a lunch at Hicham and a ride in quad (or the opposite : the quad first and then the camel ride). 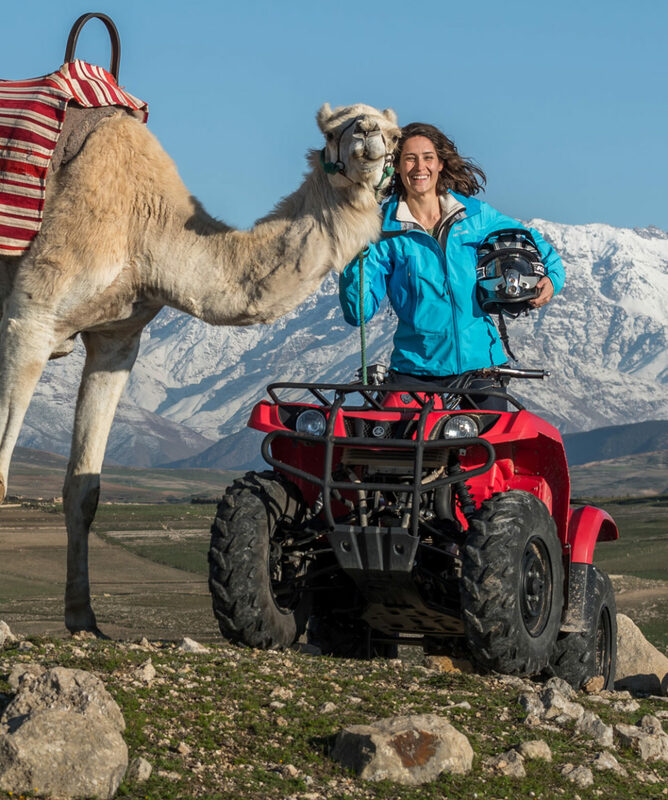 Whether on your quad or camel, our entire team will look after you to make you live a unique holiday. 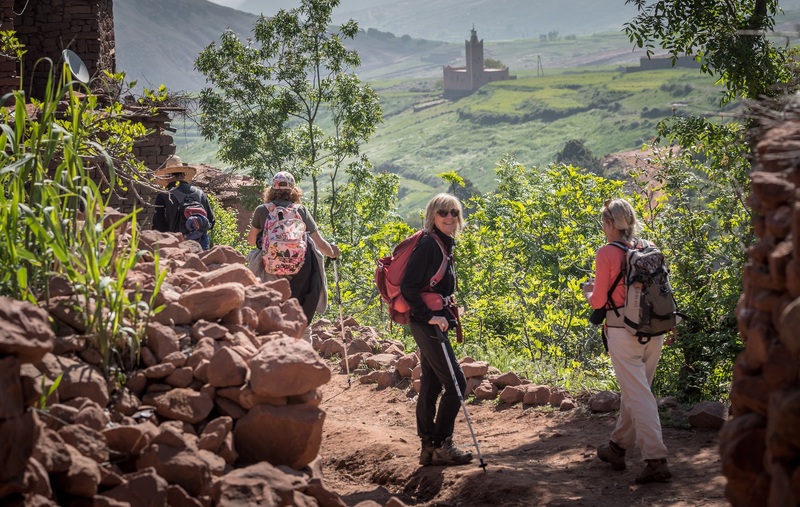 Discover in one day the beauty of the arid landscapes of the North of Marrakech as well as the hospitality and the authenticity of the Moroccans. 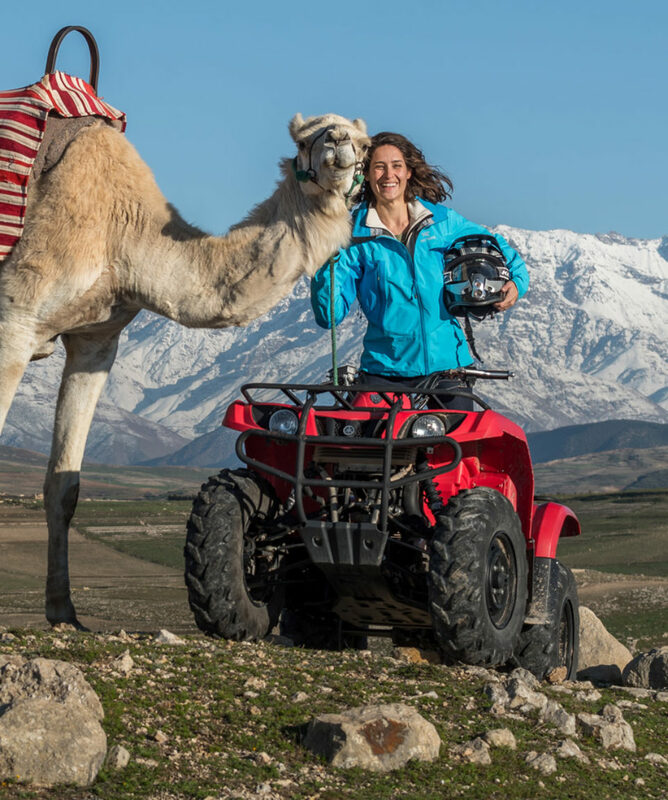 You will feel like adventurers : for the camel tour, we will provide you with a cheich, while for the quad tour, we will provide all the necessary equipment for your safety: helmet, balaclava (hood) and goggles protection. 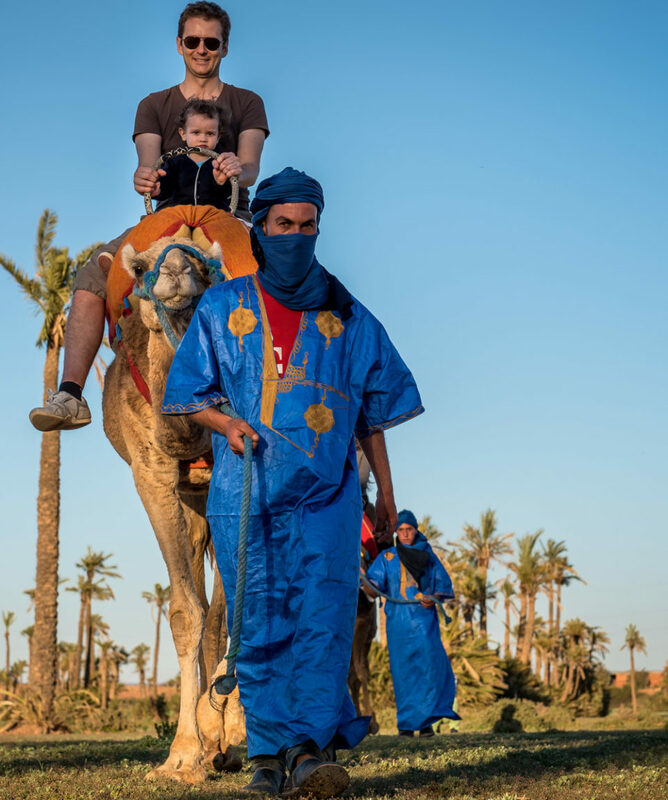 A relaxed atmosphere and an experience in the heart of Morocco. 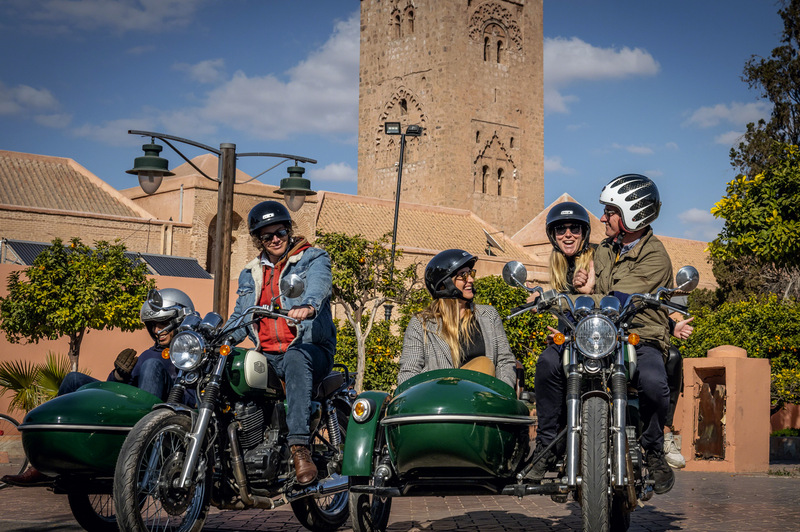 Marrakech is a big city, but just a few minutes from the center, it’s a whole different world that we propose you to discover. A real incursion into an authentic universe, this day is one of our bestsellers. We are waiting for you ! Available all year round, on request. Exact pick up time confirmed the day before by phone. 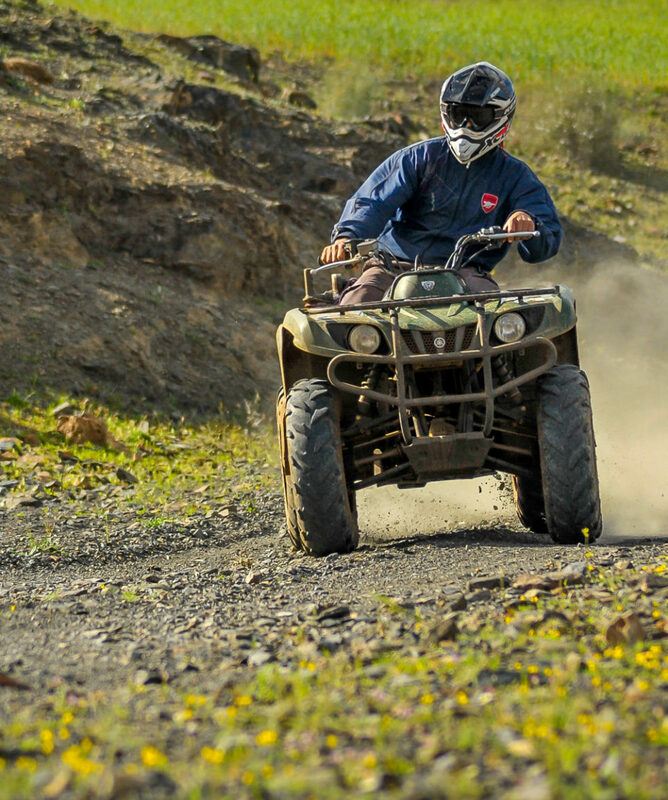 Children under 12 have to ride as passenger with an adult on the camel or on the quad bike. They pay only half price. Pay attention : not all children can afford this full day. Photo service available on site in extra, starting from 50 MAD.